This problem is one people write to me rather often. This is unsettling because every time someone says, "this is happening," we have another restaurant owner breaking the law. My employer is taxing me on 100% of my tips on my paycheck and giving them all to me but......is telling us to tip the bussers and bartender 25% of our wages, yet they are not taxing the bussers or bartender on any part of that 25% and they are telling us we are required to pay them their percentage of the tips when we get our paycheck. I want to tip the bartender and bussers, that is not an issue. So if I make 500$ in tips, i will receive all $500 on my check and will be taxed on all $500. Then I am expected to hand out $125 of that money. The bussers and the bartender are not taxed on this. If you make $500 but have to tip out $125, then you pay tax on $375. The recipient of your tips pays tax on the $125. The above law is via the IRS and applies to all fifty states. It does not matter whether you earn a tipped minimum wage or full minimum wage, the IRS requires you to pay tax on your own income. They do not require you to pay tax on other people's incomes, and they don't allow your employer to tell you to pay somebody else's income tax. IRS Publication 531 was last updated in 2013. It states clearly that your employer may use an electronic tip record to record daily tips, but that if he does, he must give you a paper copy. If you participate in a tip-splitting or tip-pooling arrangement, report only the tips you receive and retain. Do not report to your employer any portion of the tips you receive that you pass on to other employees. However, you must report tips you receive from other employees. Therefore: you do not report money you don't get to keep, AND those who receive tips from other employees must claim the money for themselves. Another handy page at the IRS website is "How Do You Report Suspected Tax Fraud Activity?" There are forms you can print and fill out, and you are allowed to remain anonymous if you choose. You may use this resource to report a business you suspect (or know very well) is guilty of not complying with tax laws. Thanks for writing, and best of luck. Hi, i work at a pizza restaurant as a server and my state pays 3.10 minimum for servers and 5.05 is the "tip credit" we have to claim. For example, tonight I made $14 after 8 hours at work but they still require me to claim $40.40 knowing I did not make that amount. Reasoning is its the beginning of the week and it will balance out at the end. I feel that this is unfair. Can you please give me some insight on this. 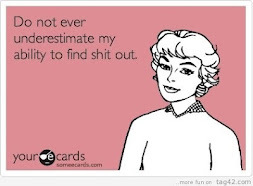 Yes, I will try to offer some insight. First, a "tip credit" is not something you claim. You claim income, and only if you earn it. $3.10 + $5.05 = $8.15. This tells me that the minimum wage in your area is $8.15. Your employer is paying you a tipped minimum wage of $3.10. As long as you make at least $5.05 in tips per hour, you are making minimum wage. If you make less, your employer owes you money. It is illegal for an employer to require you to claim money you didn't make. Period. If they are paying you the tip credit on a weekly basis, they don't need you to lie at the beginning of the week. You work 8 hours on Tuesday. Tips are bad, and you earn less than $8.15 per hour. You claim the $15 in tips you made. You work 8 hours. You make $200 in tips. $200 + $15 = $215. $215 \ 16 hours = $13. 44. It did balance out; your employer does not owe you any tip credit. You work 8 hours on Friday. Tips are bad again, and you only earn about $30. $30 + $15 = $45. $45 \ 16 hours worked this week = $2.82. Your employer owes you part of the tip credit. $5.05 - $2.82 = $2.23. 16 hours x $2.23 = $35.68. In this scenario, your employer owes you $35.68 for the week. This is in addition to the $3.10 per hour he is already paying you. You should never be required to lie to the IRS about the amount of money you made. If your employer tries to say, "This is just for our bookkeeping records" then he needs to be audited, because his records should be accurate. The IRS would agree with me on this point. I made a new contact recently. She is currently waitressing and collecting stories and experiences about what it is like to work in the restaurant industry. She would like to include anonymous quotes and stories from those of us who toil in food service. And she wants to hear from you! As I do on this blog when people write to Ask the Waitress!, this lady will keep your personal information confidential and anonymous. When you write to her to share your experiences, she will need you to give her some information upfront so she knows you are real, but it will never be published or shared. Please write to Jess Miller at jess@debt.com if you would like to share your experiences with what it is like to work in restuarants. * Have you been promised monies or benefits that you never received? * Is the tip sharing arrangement in your restaurant fair and legal? * Can you get time off when you need it? * Have you ever been harassed? And anything else you think is pertinent.